Fortunately there is high quality natural support available for PMS symptoms. 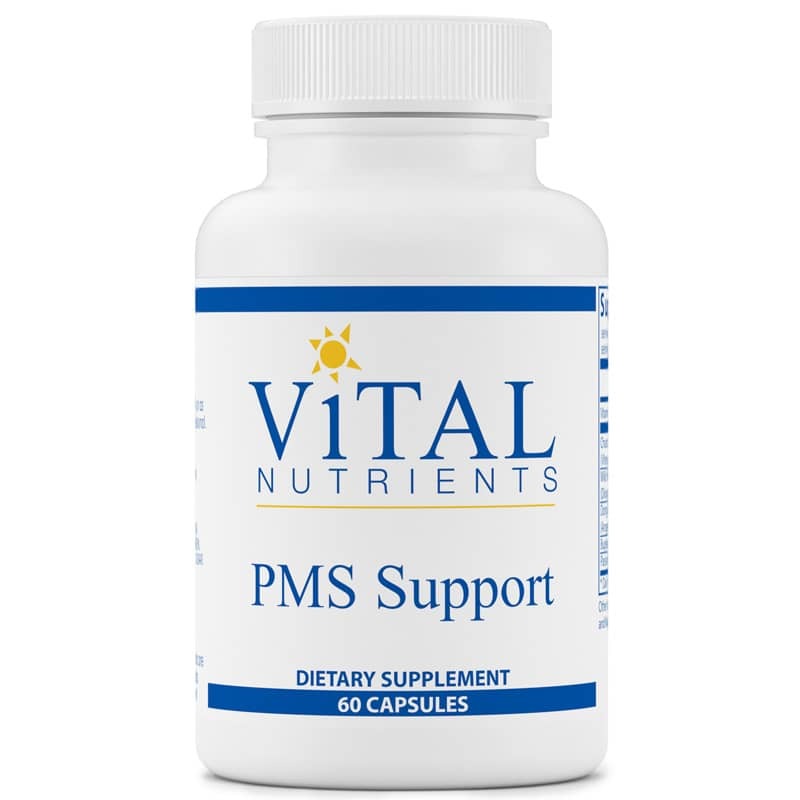 Certain herbs have shown great promise and PMS Support by Vital Nutrients contains a combination formulated specifically to help women who experience common mild symptoms associated with their monthly menstrual cycle. 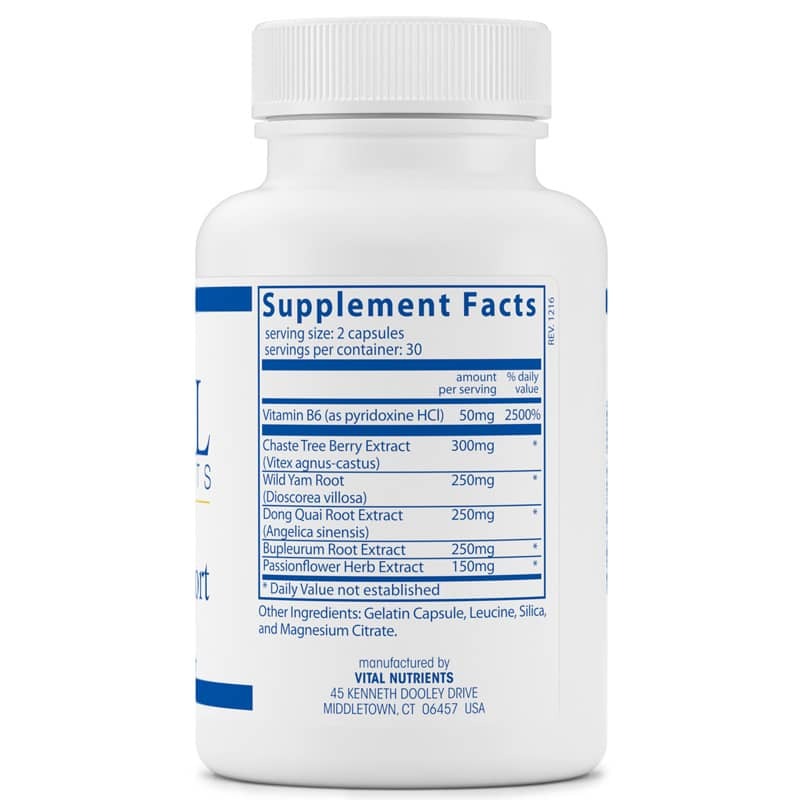 The herb Vitex acts on the pituitary gland, which modulates the production of luteinizing hormone. This supports progesterone production and helps maintain a regular monthly cycle. Dong Quai, another herb in this formula, acts to relax smooth muscles, relieving minor discomforts associated with the menstrual cycle. Other Ingredients: gelatin capsule, leucine, silica, magnesium citrate. 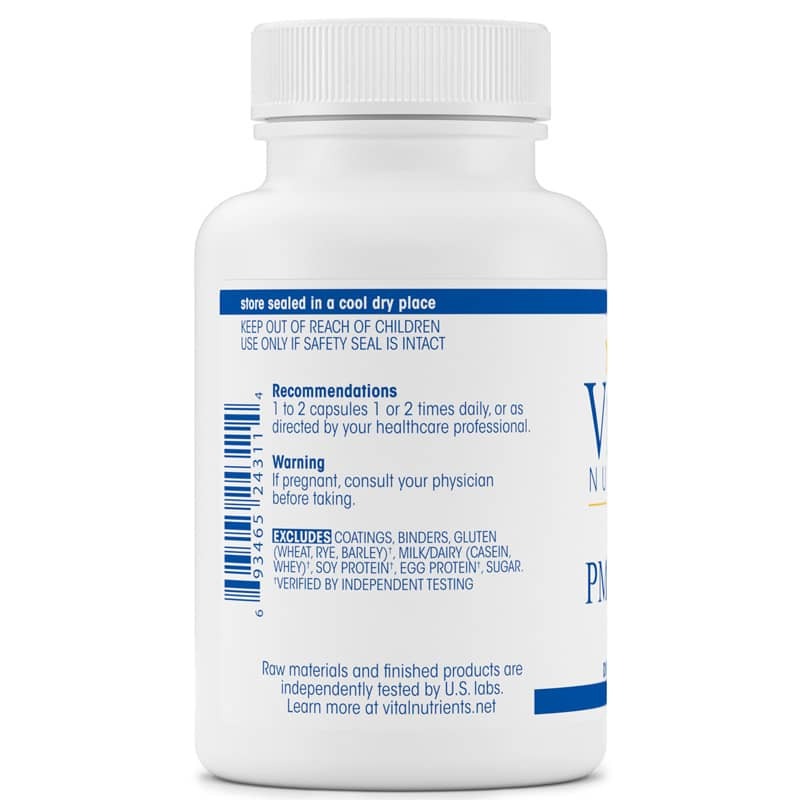 Adults: 1 to 2 capsules 1 or 2 times daily or as recommended by a healthcare professional.